There are multiple ways to support us! Double your impact with a matching gift or volunteer incentive grant! Many employers sponsor matching gift programs that match charitable contributions made by their employees. Some companies may even match gifts made by retirees, spouses, and board members. Others provide matching funds to support employee volunteer hours. Most of these programs match contributions dollar for dollar, and some will even double or triple the amount of your gift! If your company is on our list, submit your Matching Gift form to your company according to their guidelines. If your company is not on our list, find out if they already have a Matching Gift program and ask your company to match your financial donation or volunteer hours. Many companies will also match volunteer hours of spouses and retired employees too. For additional information/questions, email us at : info@addisfaithfoundation.org. Make you online purchases count! 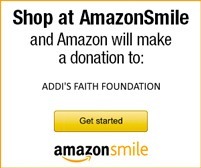 Amazon will donate 5% of your purchase to Addi’s Faith Foundation. It’s easy! Select Addi’s Faith Foundation as your chairity of choice. You must use the www.smile.amazon.com link in order for your purchases to earn money for AFF. Link your Kroger rewards card with Addi’s Faith Foundation and earn money every time you shop! PLEASE NOTE–Each year in August, you’ll need to renew your charity choice by following the above steps. 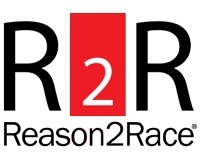 AFF has partnered with Reason2Race® to provide athletes of all levels the opportunity to enhance your race experience. You can participate in any event in any part of the word and fundraise for Addi’s Faith Foundation. You can join our team for any event you choose. Contact amberbender@addisfaithfoundation.com to learn more. Link your Randalls Remarkable card to Addi’s Faith Foundation. Simply stop by the courtesy booth at your local Randalls and give them our charity # 13098. AFF starts earning money immediately!